If the idea of a freshly plastered wall does not overly excite you, it’s because the options for plaster have been fairly limited in this country until now. Since taking the place of horsehair plaster and lath a half century ago, wallboard, tape, and joint compound have owned the market. For an uptick in quality and labor cost, blueboard and veneer plaster can offer a more refined finish. 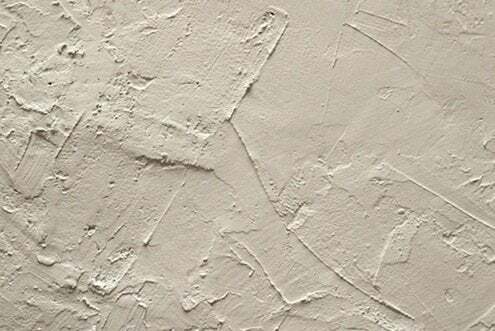 For a rich wall treatment that’s truly unique, check out Marmorino plaster. Developed in 16th-century Venice as a lightweight alternative to marble, this mix requiers two coats, a waxy finish and lots of elbow grease, but the results can be spectacular. In recent years there’s been a return to more eco-friendly and locally produced options. Clay and natural mineral lime plaster—using sustainable materials and naturally occuring pigments—can produce a deep, earthy and colorful interior… without the need for paint.